Two important sets of CFPB amendments to its RESPA and TILA mortgage servicing rules go into effect April 19, 2018. One set of amendments for the first time extends the broad array of mortgage servicing protections to successors in interest—such as homeowners who inherited a home after the borrower’s death or were awarded the marital home in a divorce. These homeowners now are entitled to protections relating to loan modifications, dispute rights, monthly statements, escrow accounts, servicing transfers, and other rights afforded by TILA and RESPA to home mortgage borrowers. The other set of amendments is just as important, giving homeowners during and after bankruptcy the right to receive monthly mortgage statements. Without these statements, it has been difficult to determine if mortgage servicers were assessing improper fees or misapplying the homeowner’s mortgage payments, particularly during chapter 13 cases. 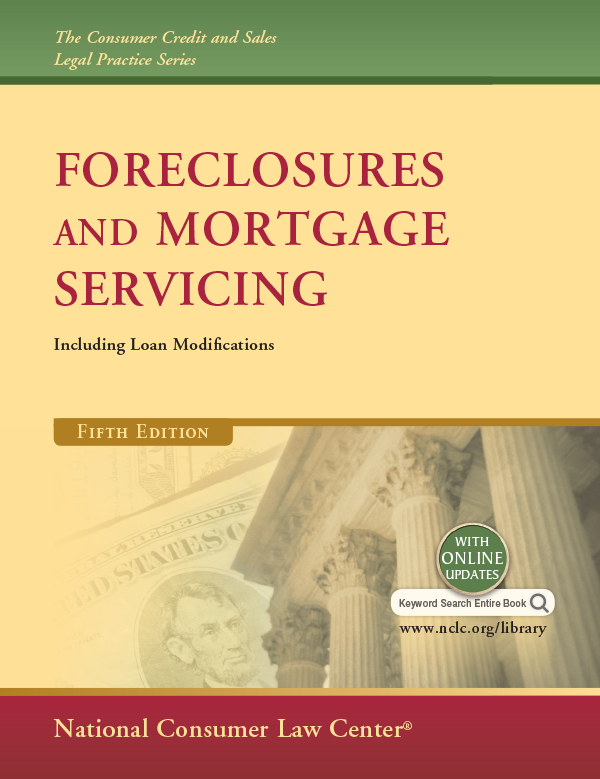 This article outlines both sets of amendments, but far more detail is found in the online version of NCLC’s Foreclosures and Mortgage Servicing Chapter 3. This article links to relevant subsections of that chapter. The new rules expand the definition of a “borrower” for purposes of RESPA, and “consumer” for purposes of TILA, to include a confirmed successor in interest. 12 C.F.R. § 1024.31 (eff. April 19, 2018). Successor in interest is defined as coextensive with transfers listed in the Garn-St. Germain Act after which a due-on-sale clause may not be exercised. This list includes transfers related to the borrower’s death or a divorce or separation agreement, transfers to a spouse or children, or to a trust in which the borrower is a beneficiary. 12 U.S.C. § 1701j-3(d); Foreclosures and Mortgage Servicing § 8.6.2. A detailed discussion of the new definitions and appropriate transfers is provided in Foreclosures and Mortgage Servicing § 3.1.4.1b. Protections are afforded a successor under RESPA and TILA once a servicer has confirmed the successor’s identity and ownership interest in the property. No other requirement should be imposed as a condition of “confirming” a successor in interest pursuant to the regulation. Once confirmed, the RESPA and TILA mortgage servicing rules apply even if the successor has not assumed personal liability for the mortgage loan under state law. Helpful additions to the CFPB’s official interpretations on this issue are discussed in id. § 3.1.4.1b. The CFPB created a special limited “Request for Information” applicable to potential successors in new RESPA § 1024.36(i). If a servicer receives any written request from a person that “indicates” that a person “may be a successor in interest” and that contains the name of the transferor borrower and sufficient information to enable the servicer to identify the loan at issue, the servicer must respond by providing the potential successor in interest with a written description of the documents the servicer reasonably requires to confirm the person’s identity and ownership interest. For more detail, see Foreclosures and Mortgage Servicing § 3.2.2.6.2a. The servicer must acknowledge receipt within five business days and respond substantively within thirty business days. However, depending on the specific circumstances, a servicer may be required to respond more quickly in order to comply with the policies and procedures requirement in RESPA § 1024.38(b)(1)(vi), which is discussed in Foreclosures and Mortgage Servicing § 3.4.4. Amendments to RESPA § 1024.38 impose a reasonableness requirement on the documents a servicer may require to confirm successor status. 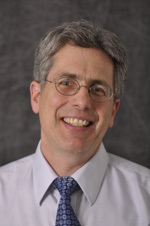 This requirement is further elaborated in the RESPA Official Interpretations, which state that the documents a servicer requires must be “reasonable in light of the laws of the relevant jurisdiction, the specific situation of the potential successor in interest, and the documents already in the servicer’s possession.” The CFPB gives examples of four different factual scenarios and what would be reasonable in each. These are discussed in Foreclosures and Mortgage Servicing § 3.4.4. When the CFPB issued its periodic mortgage statement rule in 2014, a broad exemption was included in an “Interim Final Rule” for a borrower in a bankruptcy case or a mortgage debt was discharged in bankruptcy. That interim rule has now been significantly revised. A final rule adopting a much narrower bankruptcy exemption goes into effect on April 19, 2018. • The consumer files a statement of intention in a chapter 7 case stating an intention to surrender the property, and no partial or full payment has been made since the bankruptcy case was filed. Reg. Z, 12 C.F.R. § 1026.41(e)(5)(i)(B) (eff. April 19, 2018). If the bankruptcy exemption initially applies, a servicer must nevertheless resume sending periodic statements if the consumer subsequently reaffirms the mortgage debt or if any consumer on the loan requests in writing that statements be provided. Reg. Z, 12 C.F.R. § 1026.41(e)(5)(ii) (eff. April 19, 2018). A consumer who is not entitled to monthly mortgage statements because the exemption applies still has an unconditional right to “opt-in” to receiving periodic statements by submitting a written request. Reg. Z, 12 C.F.R. § 1026.41(e)(5)(ii) (eff. April 19, 2018). This right can be exercised at any time the loan is in effect, and by “any consumer on the loan.” Thus, if there are joint obligors on the loan, the servicer must honor the request even if it is submitted by only one of the consumers on the loan. Consumers can also request in writing that the servicer stop sending periodic statements. A servicer may designate an exclusive address that a consumer must use to submit an opt-in or opt-out written request if the servicer notifies the consumer of the address “in a manner that is reasonably designed to inform the consumer of the address.” Reg. Z, 12 C.F.R. § 1026.41(e)(5)(iii) (eff. April 19, 2018). An opt-in or opt-out written request may be submitted by an agent of the consumer, such as the consumer’s bankruptcy counsel. If a consumer makes multiple written requests either to opt in or to opt out, the consumer’s most recent written request controls. Regualation Z Official Interpretations § 1026.41(e)(5) (eff. April 19, 2018). A more detailed discussion of all these rights is found in Foreclosures and Mortgage Servicing § 3.6.4.5.4. When periodic statements must be provided to consumers who have filed bankruptcy, RESPA § 1024.41(f) requires some modification of their content, as discussed in Foreclosures and Mortgage Servicing § 3.6.4.5.5. Modified statements must include a statement identifying the consumer’s status as a debtor in bankruptcy or having discharged the mortgage loan, and a statement that the periodic statement is for informational purposes only. Reg. Z, 12 C.F.R. § 1026.41(f)(2) (eff. April 19, 2018). A servicer that provides coupon books must include these notices somewhere in the book or on a separate page enclosed with the book. Some information may be omitted from statements that are provided to consumers in bankruptcy or who have discharged the mortgage loan. For example, late fee information found in the “amount due” section of statements may be omitted, but not late fees that have already been charged, which will continue to be reported in the statement’s transaction activity section. The amount due need not be shown more prominently. Some delinquency information that would be required for borrowers in default may also be omitted. • Amount due may be limited to the date and amount of the postpetition payments due and any postpetition fees and charges imposed by the servicer. • Explanation of amount due is similar to the information required for nonbankruptcy statements, though it is limited to postpetition amounts. • Transaction activity is similar to nonbankruptcy statements, including disclosure of partial payments that are sent to a suspense or unapplied funds account. However, the brief description need not identify the source of any payments, such as whether the payment was received from the debtor directly or from the trustee. • Prepetition arrearage is a new category that is specific to statements for chapter 13 debtors. If the debtor’s plan provides for the payment of an account arrearage, a servicer must disclose the following information: the total of all prepetition payments received since the last statement; the total of all prepetition payments received since the beginning of the consumer’s bankruptcy case; and the current balance of the consumer’s prepetition arrearage. This information on periodic statements should help consumers understand how their chapter 13 plans are working and encourage them to complete their plans as they see the arrearage amount being reduced over time. • A servicer ceases to qualify for the bankruptcy exemption under RESPA § 1024.41(e)(5)(i) as to the mortgage loan, such as when the debtor reaffirms the mortgage loan, the bankruptcy case is closed or dismissed without a discharge of the mortgage loan, a consumer files an amended plan or statement of intention indicating an intent to retain the home, a consumer makes a partial or periodic payment after filing a statement of intention indicating surrender of the home, or a consumer on the loan opts in to receiving statements. Reg. Z, 12 C.F.R. § 1026.41(e)(5)(iv)(A) (eff. April 19, 2018); Reg. Z Official Interpretations § 1026.41(e)(5)(iv)(A)-1 and -2 (eff. April 19, 2018). After a triggering event occurs, a servicer is exempt from the requirements of RESPA § 1024.41 for the next periodic statement or coupon book that would have been required if the triggering event had not occurred. Examples of the application of this single-statement exemption are discussed in Foreclosures and Mortgage Servicing § 3.6.4.5.7.